Yesterday morning, I had a very useful meeting with the City Council’s Head of Transportation about parking issues. Last night, I took the minutes at the latest committee meeting of Friends of Magdalen Green, at which we had a very productive discussion on local matters, including consultation with local residents on new BBQ tables on the green and on our forthcoming Annual General Meeting. This afternoon, I met with another committee member of the group on the Green to look at damage to the grass west of the old bowling green area – see above. I have reported this matter to the Leisure & Communities Department. I then attended the launch of the merger of Tayside Deaf Association with Deaf Action at Discovery Point. It was a very enjoyable, informative and well-attended event at which there were various speakers including service users and a super performance by the Claypotts Castle Primary School Signing Choir. Tonight, I took the minutes at the latest committee meeting of the Tay Rail Bridge Disaster Memorial Trust – a very productive meeting at which we concentrated on fundraising progress. Further to my blog entry earlier this week regarding Claypotts Castle Primary School and the issue of the funding of capital projects across Scotland, the Scottish Government has now unveiled its much hyped plans for a “Scottish Futures Trust” to pay for major infrastructure projects, such as new schools and hospitals. The reaction to the Scottish Government’s proposals is sort of summed up by the Scotsman – “Warning SNP’s finance plan may be illegal” (click on headline above to view the full story). 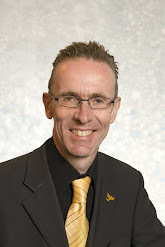 Liberal Democrat Finance Spokesperson, Liam McArthur MSP, scorned the proposals, pointing out that a year on from the Holyrood elections the only thing about the Futures Trust which the SNP has not changed is the name. “After a year of effort, the announcement today finally admits that the main SNP manifesto promise is ‘not possible’. The only thing about the Scottish Futures Trust which they haven’t changed is the name. “One year on from the election and the first recommendation is for a further review. As a result, planning for new schools has stalled across Scotland. The pace of building is set to slow down when the SNP run out of inherited projects. 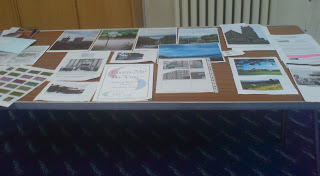 A busy day today – this afternoon, after a couple of site visits about traffic issues in the West End, I attended the first meeting of the Magdalen Green History Group which is meeting in Blackness Library on Wednesdays 1.30pm-3pm until 25th June. It was a good start and many useful ideas raised for future activities. The photo (right) shows some of the resources available today. Click on the headline above to read more. 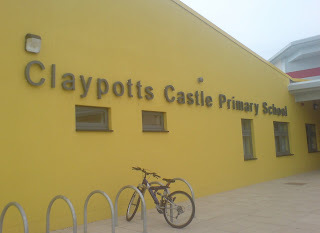 Earlier on, I was delighted – along with two of my fellow City Councillors, the Council’s Chief Executive and others – to view the new Claypotts Castle Primary School, which opens to pupils in the next few days – see photo below. The facilities are absolutely fantastic, and everyone was very impressed. And … a case of PPP projects delivering real schools and on budget. I watched John Swinney on “Newsnight Scotland” last night – an able and highly competent Minister fail to convince anyone that the Scottish Government’s plans for PPP replacement in any way stands up to scrutiny. The Herald today sort of summed it up : “SNP trust for public projects launched into storm.” The bottom line is that well-delivered PPP projects have resulted in quality improvements in the public sector infrastructure – as Claypotts Castle Primary demonstrates. What is not so clear is – will the SNP so-called “Scottish Futures Trust” deliver anything? Alex Salmond claimed he’d match the previous government’s building programme “brick for brick”; thus far not a single brick delivered.